I just received this phone two days ago and based on my short experience here is my review. This is my first Panasonic phone and I have to admit, that it is even more better than Nokia in quality. 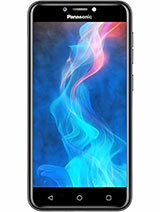 And bytheway, in this case SA7 phone by Panasonic seems the most reasonable in terms of pricing -only $300. So why are you folks complaining about SA7? SA7 is not a digital camera. It's a high quality phone with some digital camera's features added at no extra cost, comparing to overpriced Sony, Nokia and Sharp phones. You want a camera? than buy Panasonic's or Canon's real cameras! It is already available at B&H store in New York! For only $300! Now compare that to rediculous Nokia N90 $600-$700! Or to rediculous Sony Ericsson k750 $400! hi, I bought the SA7 about 3 weeks ago now and I'm REALLY happy with it, it only lacks the SD card feature, but appart that it's really good and solid, nothing to negate about. I had a GD-87 previously. the camera quality is very good IMO for a cell phone. check out this pic i took with it (resized a bit tho, coz it's 1600x1200 original) http://www.tare.ch/photos/annonces/mv.jpg I bought it at Plemix via ebay and service was great. I spoke to three friends of mine, and none of them is satisfied with their Sony cameras. (Panasonic and Nikon are the best today).I just wish Nikon had same screen quality and Optical Stabilization as Panasonic does. 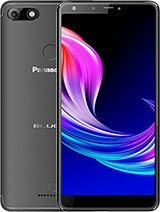 Based on the tendencies that developed last yyear, in my opinion the first mobile phone brands that will incorporate professional poin-shoot compact digital cameras within the phone will be either Panasonic and Sharp w(but more likely that Panasonic will itroduce the prof. camera/phone before the Sharp does, since Sharp doesn't specialise on regular digital cameras). nice to hear from u too that u also own a panasonic digicam (actually for me, its definitely better than sony cybershots..) btw in case ur not aware, panasonic TZ1 is already announced and i can't help but to look at its excellent features everytime its definitely my next target to buy (i'm gonna sell my LX1 for better except for manual controls) it has 10x optical zoom! ISO is up to 800 (if im not mistakin even higher) and hear this it will cost $350 only compared to LX1's price! back to phones, i just hope that "P901iTV" also becomes available outside of Japan so we can enjoy analog TV broadcasts (which means FREE local TV watching)! If you need a card slot, then buy a digital camera! How many photos per day are you going to take with a camera that only has a tiny 2mp sensor and nothing else? 10-15 photos is enough! this is crap...Panasonic put a 2mpx camera and a 16m display and NO MEMORY CARD!!!!!! !UH OH this is very unprofessional for you Panasonic.Whit a card reader incorporated,this phone had been maybe the best phone on the market. I'm glad to hear to you got Panasonic's LX1 camera (one of the best cameras for the last six month). I will probably upgrade my FX9 for LX1, since LX1 has more professional features. But other than that FX9 take the same brilliant photos without flash in an artifical semi-lighting conditions (just like LX1 does). FX9 or LX1 digital camera!!! I just found out today, that the reason why new Panasonic phones (at least my x300 for sure) have the most amazing POLYPHONIC sound ringers, is because PANASONIC uses YAMAHOO PLOLYPHONIC CHIP! How is the earpiece sound on SA7? Is is similar to x300 or is it very thin and in noicy environment almost impossible to hear (that's according to MOBILEBURN.COM reviews of SA7, VS7, AND VS2 models). It's hard to believe what MOBILEBURN SAYS- AGAIN BASED ON MY EXP WITH X300! x300 earpiece sound quality is the most amazing I ever heard (even better than on old Nokia phones). X300 earpiece sound is very bassy, loud and at the same time amazingly clean! (no distortion at all when on full volume). IN ONE WORD: The most pleasing earpiece sound! to mike,ive never owned a x300 panasonic but i do own the SA7 which was purchased off ebay about a month ago.The sound on it is great,I can hear from my pocket or if its in an other room.I owned the motorola A1000 and its a pda/phone and let me tell you,its LOUD!,and the panasonic was as loud as it,so dont let them fool you!the sound quality is excellent, no B.S. STOP BITCHING ABOUT SD SLOT! Then, buy Panasonic's revolutionary 2005-2006 digital cameras (FX9 and LX1 models). EVEN Nikon 7900 cannot take clear images in poor lighting without a flash!!!! I will post photos taken by FX9 with flash turned off, here soon, so all of you kids here can see what a real digital camera is. Perhaps, then you will stop wasting your money on Nokis N90 , Sony 800, 900 , and other overpriced CRAP!!!! this could have better sales if it had mini SD slot and auto focus function on camera! 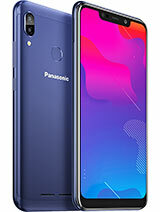 i know panasonic can do it, i just dont know y dey didn't! 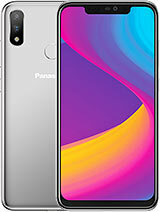 Panasonic P505iS has memory expansion slot and was available way back last Nov 2003, and as far as i know it's the first mobile phone to have auto-focus function not to mention it has CCD sensor! mind you it has QVGA display already even way back then, so i don't really see d point y panasonic has sorted to come up with the V, SA & MX series that does not have an expansion for memory. here's the link. 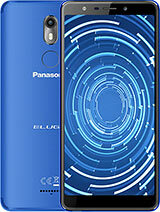 bad news (well at least for panasonic fans) for the time being but in the very near future (i hope this year) panasonic mobile will be much better! please see below..
CAN SOMEONE who trully owns this phone DEFEND its Sound and ringing Quality? I Don't believe B.S. Hater reviews that claim SA7's sound quality is bad and the ringer volume is low!!!! How is it possible that SA7 Sound and ringing quality is worser than of Panasonic x300?! I have Panasonic x300 (look at that tiny phone carefuly), and the ringer volume is the highest of all cell phones (except for monophonic Nokia 3310/3390!). Also, the polyphonic quality of x300 is the most beautiful and it has very beautiful melodies, and it sounds like true MP3! So how is it possible that SA7 Sound and ringing quality is worser than of x300?! PLEASE, STAND UP AND DEFEND SA7! 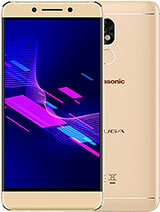 Total of 95 user reviews and opinions for Panasonic SA7.